Fill out our online form for a FREE ESTIMATE or CALL US at 678-997-5786! In today’s world everyone loves their entertainment, from Smart TV’s and Gaming to YouTube and Netflix. 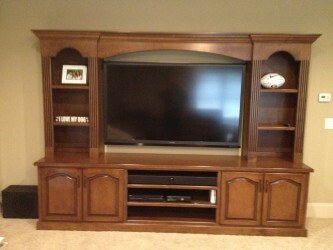 Your Custom Entertainment Center is the focal point of your Family Room. 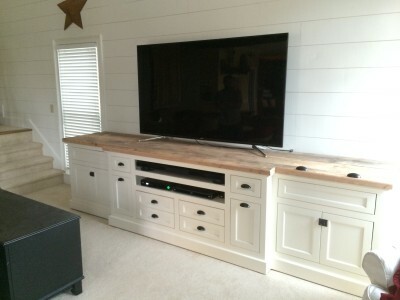 Rely on the experts at CWC to design your family a Custom Entertainment Center to fit your needs from a small TV Console to a full wall unit complete with shelving to display family photos and children’s school artwork. 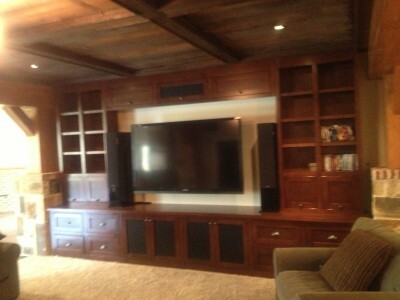 Like all other Custom Cabinetry CWC offers there are so many different options available for your Custom Entertainment Center and our designers can custom fit ALL your electronic devices/components into an Entertainment center that will provide you a lifetime of enjoyment for your friends and family and bring your dreams to real life. 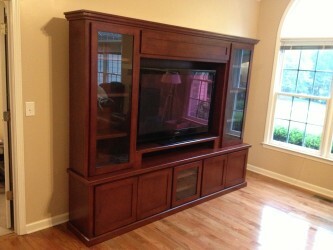 "I would recommend anyone looking for cabinets that they call Custom Wood Creations. 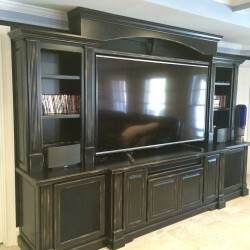 Excellent work and I now have the Kitchen Cabinets that I always wanted." 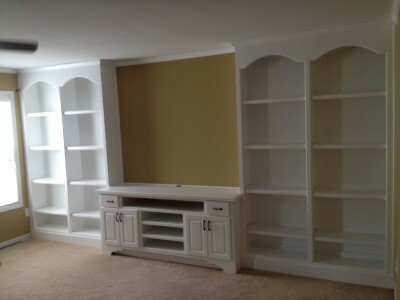 -Susan G.
"Very responsible, reliable and professional. 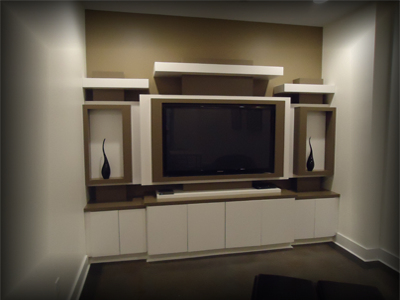 We are very satisfied with the results achieved and we highly recommend their services." -Karissa A. Did everything he promised. Excellent work... Very professional. George L.